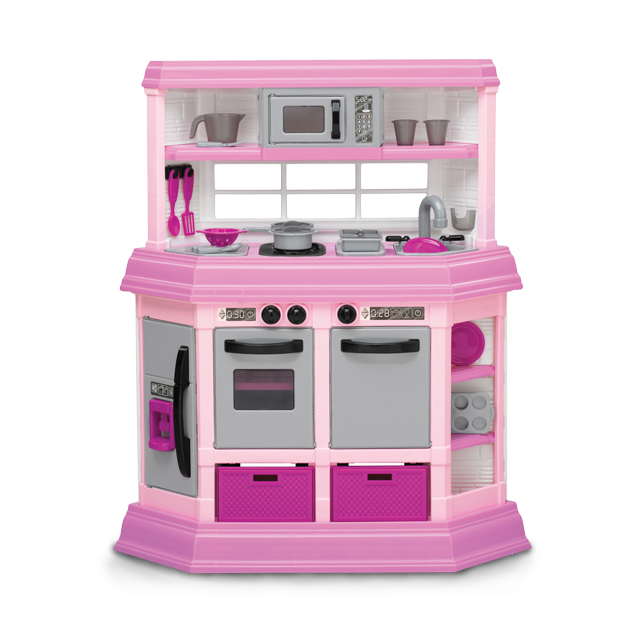 COOK & PLAY KITCHEN | American Plastic Toys Inc.
Little cooks will be saying “Bon Appetit” with what is whipped up in this kitchen! It has a microwave, refrigerator, oven, and dishwasher. It also features realistic burners (requires two AA batteries, not included), pots and pans, shelf space, two removable baskets, and 22 other accessories. Packaged in a colorful, corrugated carton with a full color litho label.